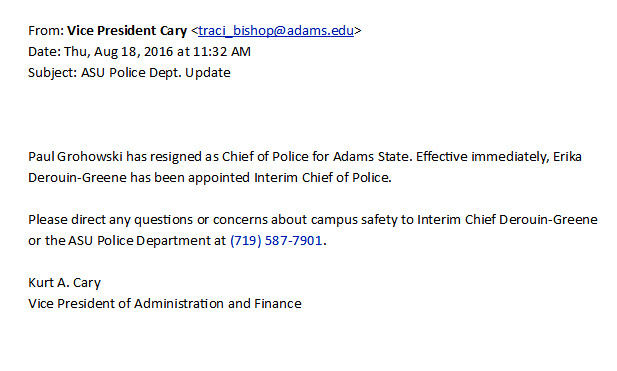 An email sent to all faculty and staff today confirmed that Adams State University (ASU) Police Chief Paul Grohowski resigned. Grohowski began serving with ASU PD in the spring of 2015. ASU has named Interim Chief Derouin-Greene to serve in this position. Grohowski’s resignation had long been anticipated by many in the Alamosa community as his house was for sale and many sources confirmed that Grohowski felt the Alamosa area was not a good fit. 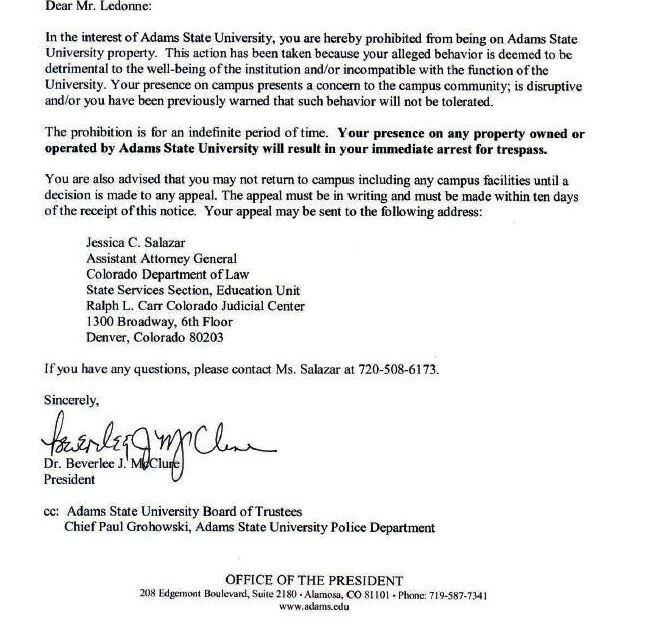 In addition to several illegal drug seizures and arrests as well as a fleet upgrade, Grohowski was notable at ASU for serving former faculty member Danny Ledonne a No Trespass Order and later writing an open letter explaining why Ledonne was banned from campus, repeatedly invoking high profile school shootings such as Columbine and Sandy Hook in his explanations to the campus – verbally and in writing. 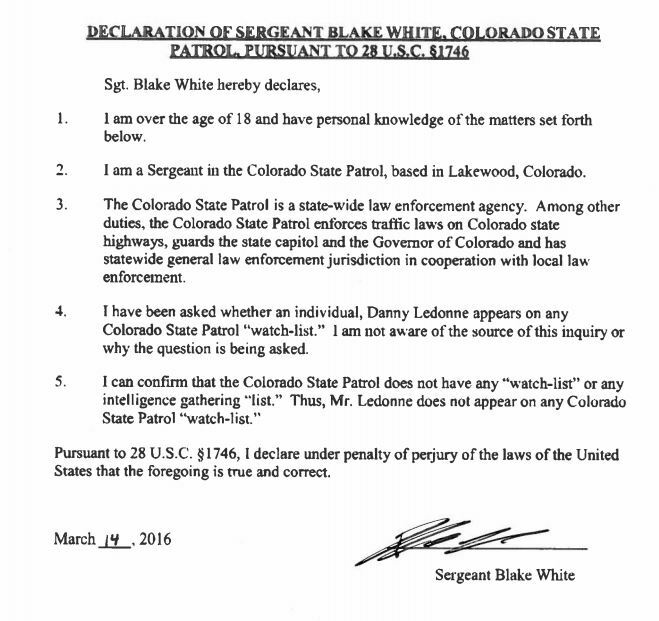 In campus meetings on this topic, Grohowski never denied the existence of a “police watch list” naming Ledonne, as repeatedly claimed by ASU President Beverlee McClure. No such police watch list exists. At this time, speculation still circulates as to whether Grohowski was designated as the “fall guy” for the lawsuit filed by the ACLU on behalf of Ledonne, later resulting in a settlement for $100,000 to Ledonne and having the campus ban lifted.